His assignment as a carrier pilot put him among the vanguard of WW II forces. 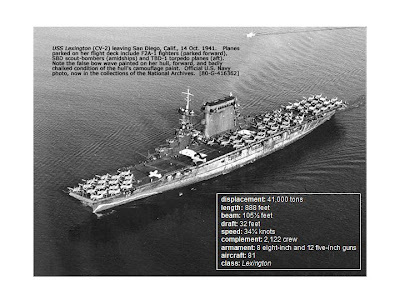 In 1942, flying from the carrier Lexington, he found himself in the air alone as a squadron of 9 Japanese planes approached. Ignoring all thoughts of his own safety, O’Hare shot down at least 5 of the enemy planes totally disrupting the attack and saving the carrier. For his courage and skill he was awarded the Medal of Honor by President F. D. Roosevelt. He went on to win the Navy Cross and two Distinguished Flying Cross medals before his death in combat later in the war. In 1949 Chicago’s O’Hare International Airport was named in his honor. That airport would be the busiest airport in the world for over 30 years.